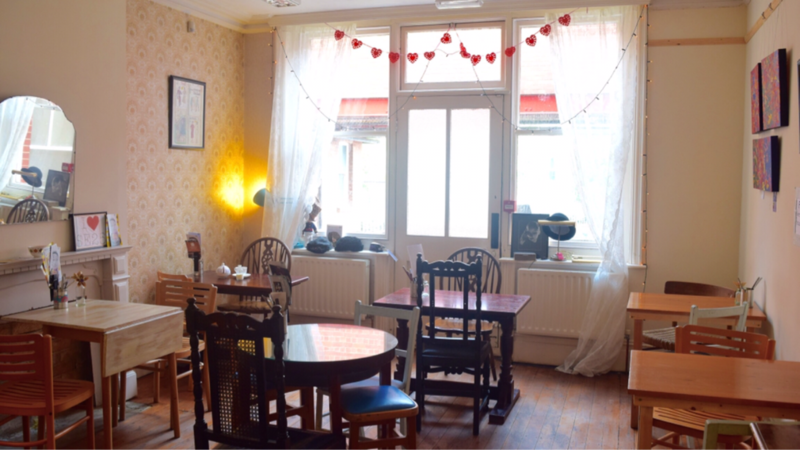 Coffee Shop South Norwood SE25 - Family-run independent coffee shop in South Norwood, serving fresh, homemade food and cakes. Delicious coffee and tea. 5 minutes walk from Norwood Junction station. Blog updates. 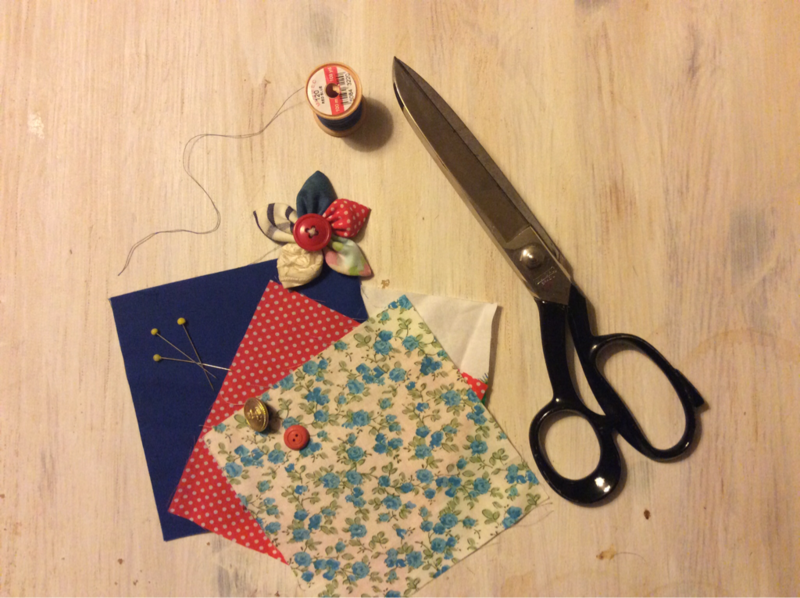 This class has been designed for anyone with little or no sewing experience. or things for the home. You will learn such things as how to thread a sewing machine and wind a bobbin, feed fabric through, sew in a straight line and turn corners. 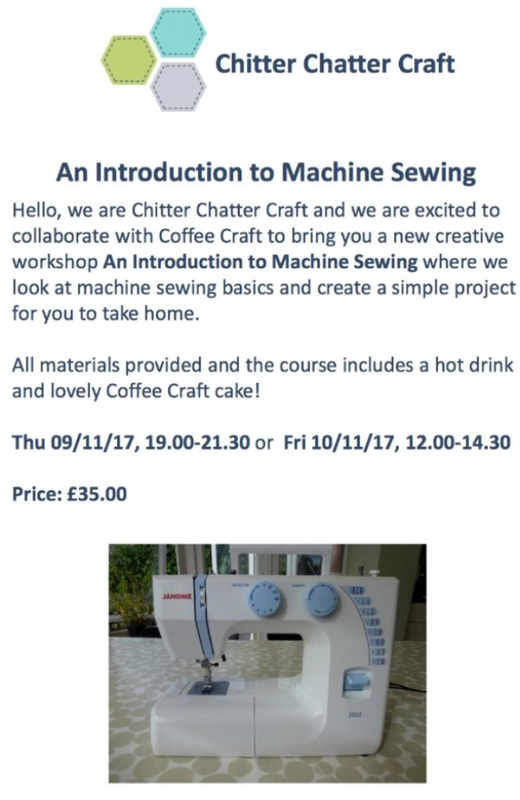 You will also have time to explore the range of stitches on the machine and create a simple project for you to take home. You are welcome to bring your own machine to become more familiar with it, or use one of ours. All materials will be included. 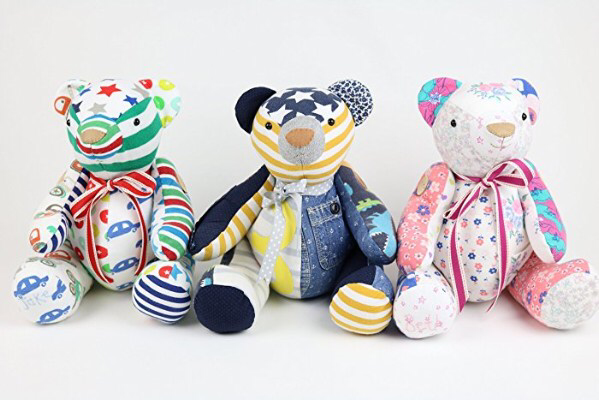 Make a unique patchwork teddy bear; a keepsake to cherish for years to come. This class is suitable for an intermediate sewer. He's quick and simple to complete, and you can have fun matching or contrasting different combinations of fabric from your baby's old clothes. In this class you will receive on hand instructions how to cut and sew your memory bear. Bring along a selection of medium weight cotton fabrics: baby grows, t-shirts, leggings etc. Pattern, stuffing, buttons and equipment will be provided. There will be a mid-class break, during which a light lunch will be served. This class is perfect for beginners who want to learn the craft of lampshade making - no sewing required! You’ll learn how to apply the lampshade PVC, attach the rings and create neat rolled edges. 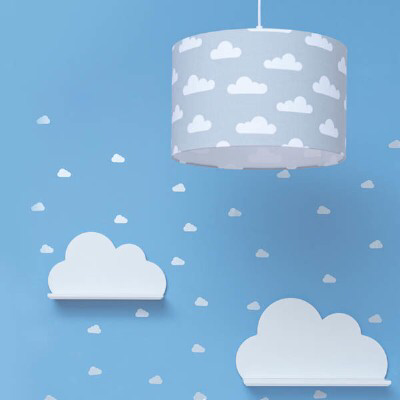 You will make a 30cm diameter fabric lampshade which can be used on a lamp base or ceiling pendant. Cost includes all tools for the class apart from fabric, which you will need to bring along with you (ironed, if possible). Your fabric will need to be 110cm x 30cm piece of fabric. There are some fantastic chefs in SE25 and the local area, so once a month we’d like to showcase case a different cuisine. 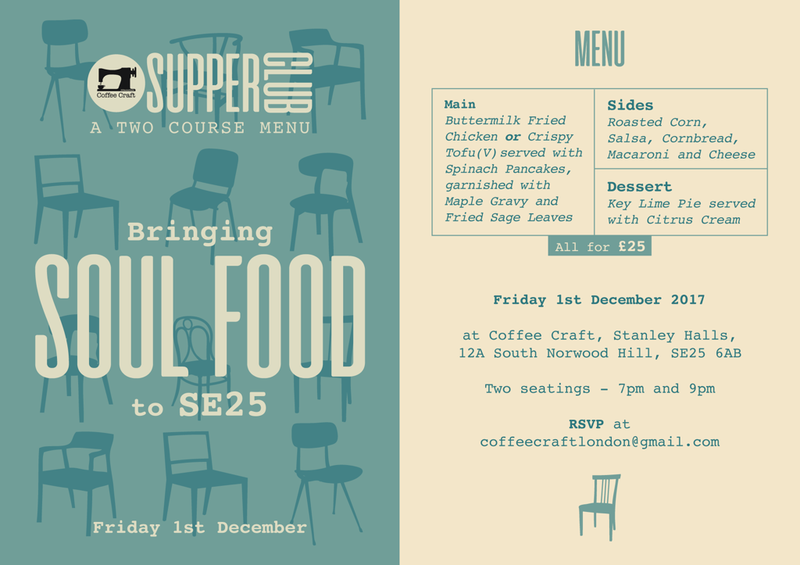 We are excited to announce that our first Supper Club will take place on Friday 1st December! Taking the heart of home cooking and flair for fine ingredients, Bukola’s journey in cooking has been an exploration which has seen her work as a Sous Chef in one of East Dulwich’s popular eateries, Blue Mountain Café, and continue to be an active member of Nigerian street food collective Suya Spot at Bermondsey Yard Café. Alongside, we will be offering a range or beers, wine and spirits, plus a signature cocktail. There will be two sittings - at 7pm and 9pm - with limited availability, so book early to avoid disappointment! A £5 deposit per person is required to secure your seat(s). Please email coffeecraftlondon@gmail.com to book. Know any great chefs? Ask them to get in touch! 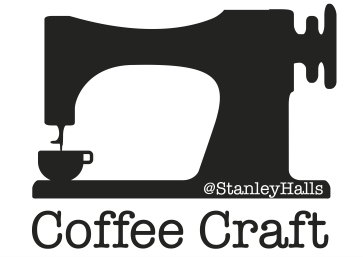 We are very excited to announce 3 exciting workshops here at Coffee Craft. 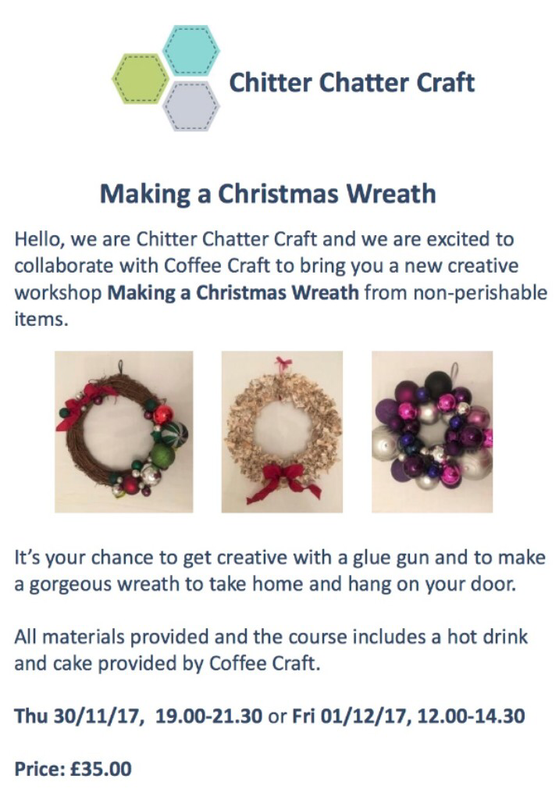 We are collaborating with Chitter Chatter Crafts to offer 'An Introduction to Machine Sewing' and 'Making a Christmas Wreath', as well as a Mosaic Workshop using vintage china pieces with The Mosaic Tutor. To book, please visit Chitter Chatter Crafts. To book, please email coffeecraftlondon@gmail.com. There are a few exciting craft sessions coming your way in February, March and April - we look forward to seeing you! We are very excited to announce our first Life Drawing Class on Tuesday 28th February at 7pm-9pm. Hot food, sweet treats and a full bar will be available. This is one for the Mums out there who would like to have an afternoon of fun and crafts with their little one(s). 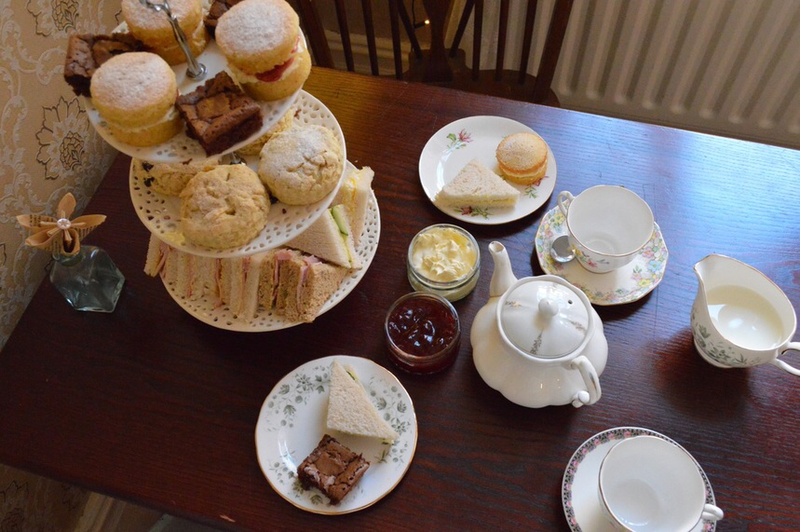 They will paint you a ceramic cup & saucer planter and card whilst you both enjoy a traditional afternoon tea. Bring your child/children to this eggciting craft session! 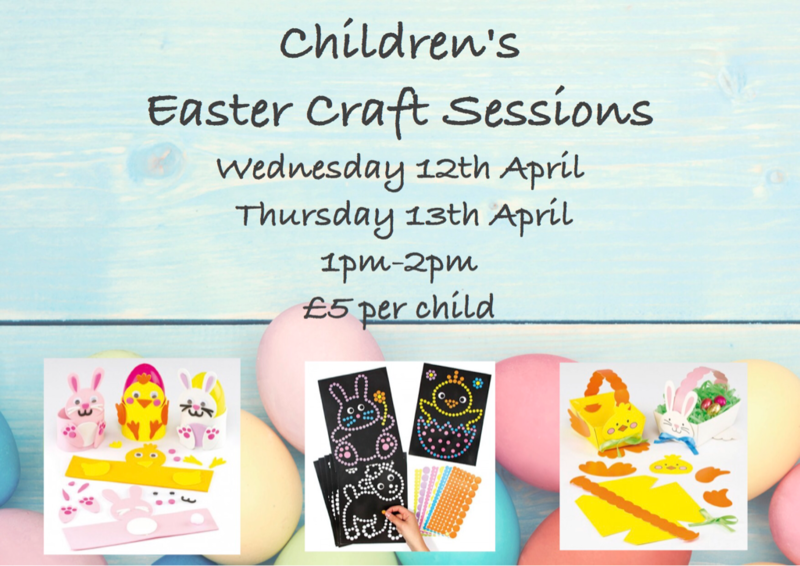 We will be painting and decorating a choice of Easter pop-up cards, baskets, scratch art egg decorations, Easter bonnet kits, polystyrene eggs, dotty art pictures and wooden egg cups. We have a number of new offerings since our last blog so have an read and get in touch, or come down and speak to us at the shop. We have created various packages for you to enjoy with friends or family. 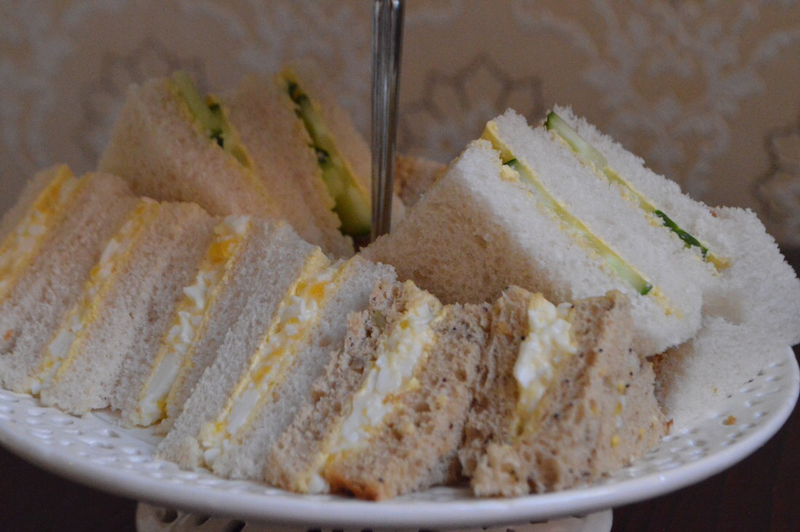 If you are planning a party for a Hen Do, Birthday, Baby Shower or any other celebration for 10 people or more, our Afternoon Tea Party Package is a perfect choice. 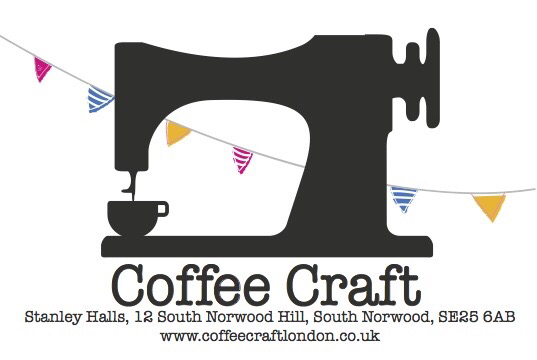 7 days notice is required - please email coffeecraftlondon@gmail.com to make your booking. We can cater for a variety of celebrations with an Afternoon Tea plus a Craft Workshop of your choice. 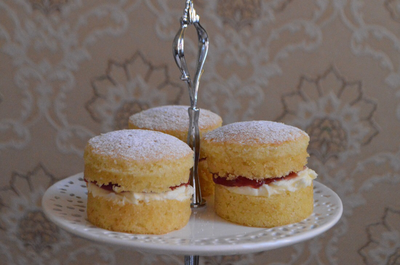 From Garter making for a Hen Do, to Bunting making for a Baby Shower; please contact us to discuss your requirements. Looking for somewhere to host a private party? Let us take care of it! We are fully liscenced and can cater for a wide variety of events, with food and drink packages available upon request. Jennifer from 'Imprezzions' is a local weaving teacher and is running a workshop on Sunday 23rd October, to reflect Black History Month. African Kente is the theme for bold geometric shapes. 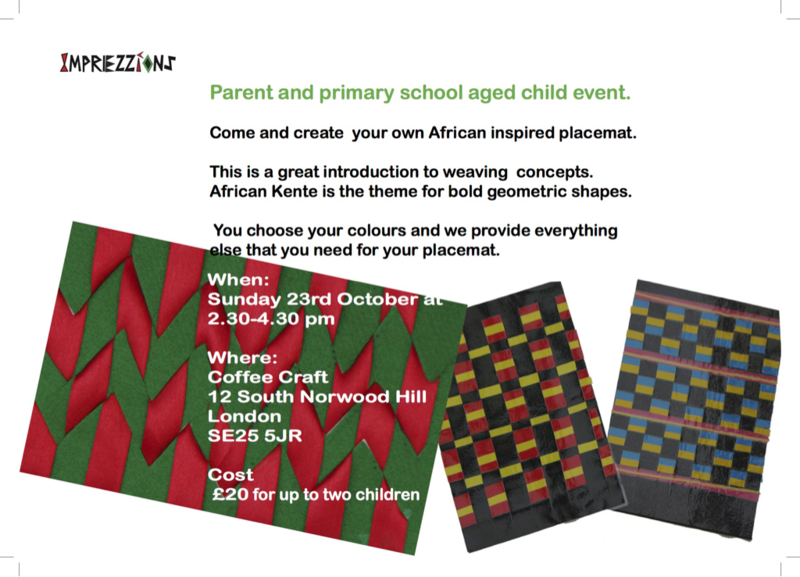 This is a great introduction to weaving concepts - come and create your own African inspired placemat. This workshop is suitable for a parent and child of primary school age, and the child or children must be accompanied by adult. We provide everything you need to your placemat. We will provide all materials and equipment, but you’re welcome to bring along your own wool. (The thicker, the wool the better for your project). Our next two workshops are now available to book! We are excited to announce our next two workshops for June and July. Come and have a go at making greetings cards for whatever the occasion - be it Birthday, Anniversary, Wedding, or a New Baby! 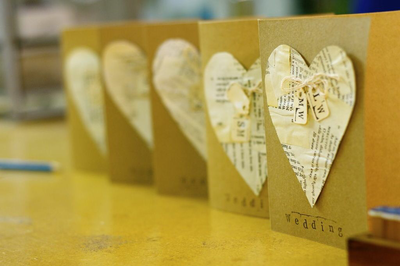 Develop and create your own designs for a variety of cards. 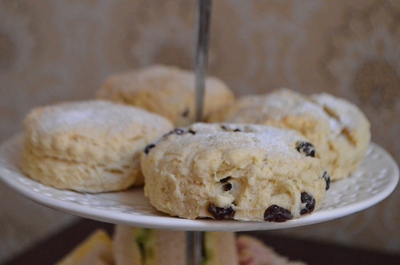 Sunday 5th June, from 2:30-4:30 - £15 per person, or £19.50 including Afternoon Tea (hot drink & scone with cream & jam). and use your imagination to get creative. Sunday 3rd July, from 2:30-5:30pm - £25 per person. If you'd like to book either (or both!) 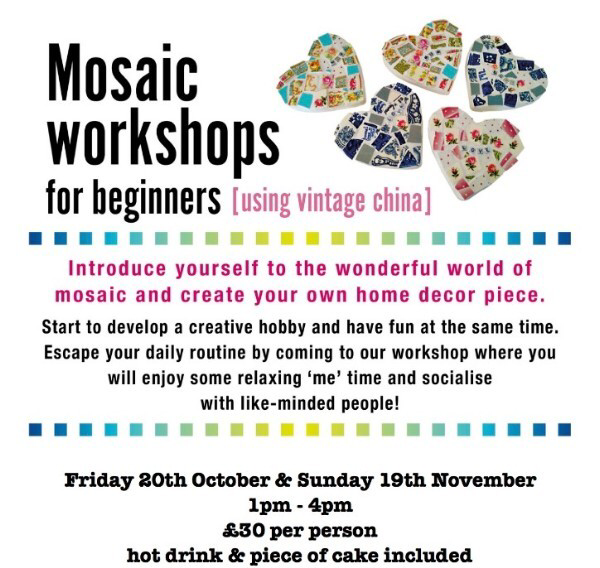 of these workshops, please email Michelle at coffeecraftlondon@gmail.com, and a booking form will be sent to you. Your booking will then be confirm once payment has been made. Also - DON'T FORGET to come and join the South Norwood Knits knitting and crochet club which meets every month. It takes place from 6pm until 9pm every second Tuesday, with the next session on Tuesday 14th June. There are lots of lovely people who are welcoming to new members, and it is open to anyone; from basic knowledge to those with more advanced skills. Bring along a current project, or start a new one and pick the brains of others if you need to! We also offer homemade hot food specials to keep you and your creativity sustained. Thanks for your continued support. We hope to see and hear from you soon! We hope you're all well and happy. First of all, we wanted to apologise for the delay in keeping you updated via our mailing list. It's been a very busy few months; Nick has been working nights, and so Michelle has had little time to plan any new workshops. However, after our family holiday it's back to normal again now and we have taken on extra staff, so stay tuned for more exciting events. Say hi to our newest team member John when you meet him! Michelle has a few ideas up her sleve for future craft workshops over the summer for both adults and children, so we will update you as soon as they are finalised. In the meantime, why not come and join the South Norwood Knits knitting and crochet club which meets every month? It takes place from 6pm until 9pm every second Tuesday, with the next session on Tuesday 14th June. There are lots of lovely people who are welcoming to new members, and it is open to anyone, from basic knowledge to those with more advanced skills. Bring along a current project, or start a new one and pick the brains of others if you need to! We also offer homemade hot food specials to keep you and your creativity sustained. We're privileged to see so many mums and their little ones at the regular NCT Bumps & Babies meet-up group, every Friday from 11am until 1pm. It's a wonderful group, and they are always very pleased to see new faces. Come down and say hi; meet new people, and share the joys & difficulties of parenthood! Suitable from pregnancy to crawling. There's more and more happening at Stanley Halls; with Stanley's Film Club continuing the 1st Wednesday of every month, and regular shows from fellow residents South London Theatre and Aelfa Academy of Dramatic Arts. Check out https://www.stanleyhalls.org.uk for more information and a list of events. 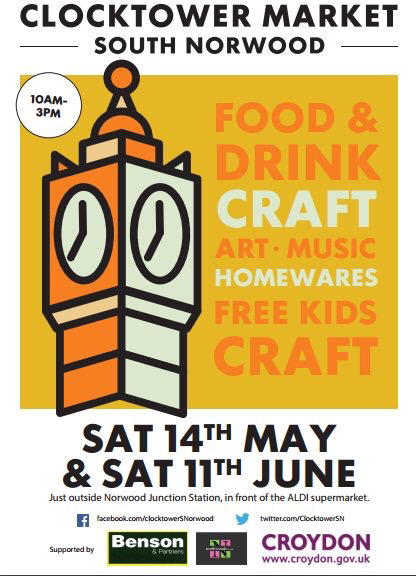 The South Norwood Clocktower Market returns this Saturday 14th May, from 10am until 3pm. We won't be there this time, but go along to check out a great variety of stalls from local traders. There are more dates pencilled in, and it's great to see this becoming a regular feature in our community. 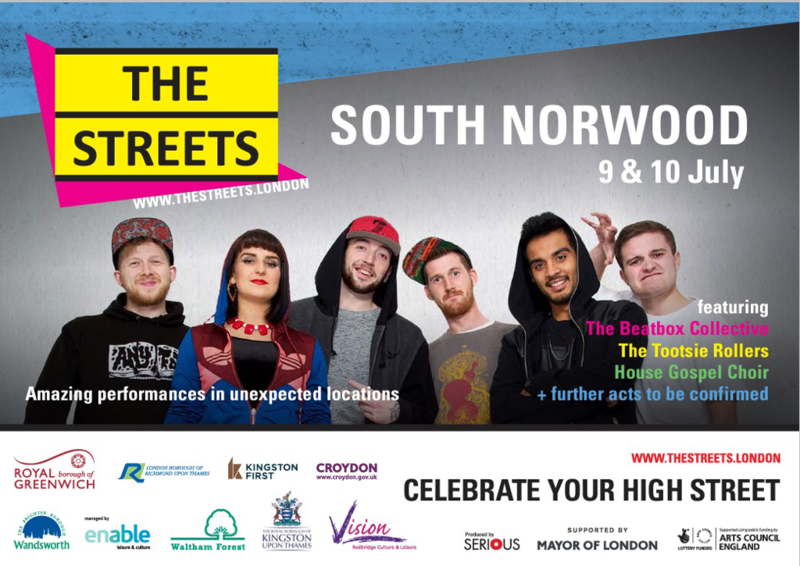 Saturday 9th & Sunday 10th of July sees the return of The Streets festival in South Norwood, and Stanley Halls will again be hosting a number of brilliant acts. Come along to this free event, and pop in to grab a treat, lunch or brunch beforehand or afterwards! We send best wishes, and look forward to seeing you all soon. An easy project for a beginner; loose and slouchy, there's no tricky fitting and no fiddly fastenings. A beautiful, simple yet stylish skirt. Perfect to make for yourself, a friend, or both! Similar skirts are sold in a well-known retailer at the moment for £45. 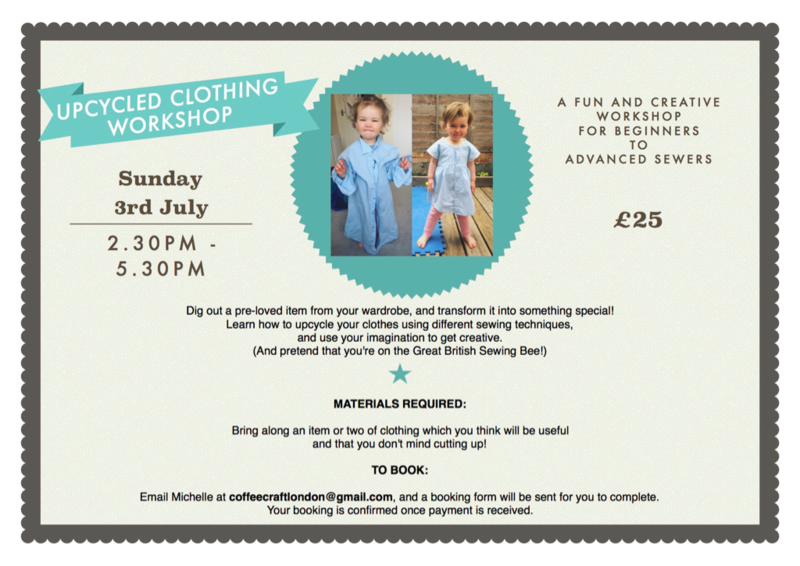 This is a great introduction to sewing, as well as a great project for people with sewing experience. You can choose whether to buy your own fabric or let Michelle be creative for you (this is an optional extra for £8.00). We will then provide equipment, but you’re welcome to bring along anything specific you might like to use in your project. If you have a sewing machine you'd prefer to bring and use, then you are welcome to do so (It's always good to use your own machine). 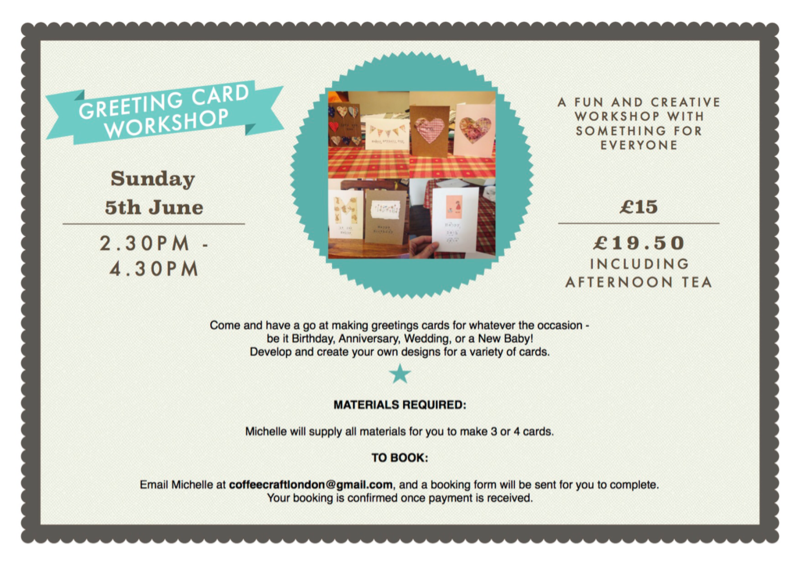 Email Michelle at coffeecraftlondon@gmail.com, and a booking form will be sent for you to complete. Your booking is confirmed once payment is received. 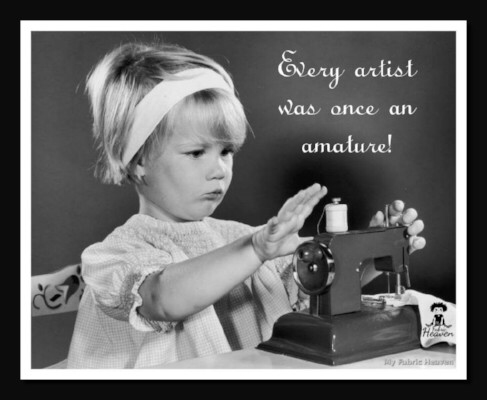 Please note, there has been high interest in sewing classes so please book soon to avoid disappointment. 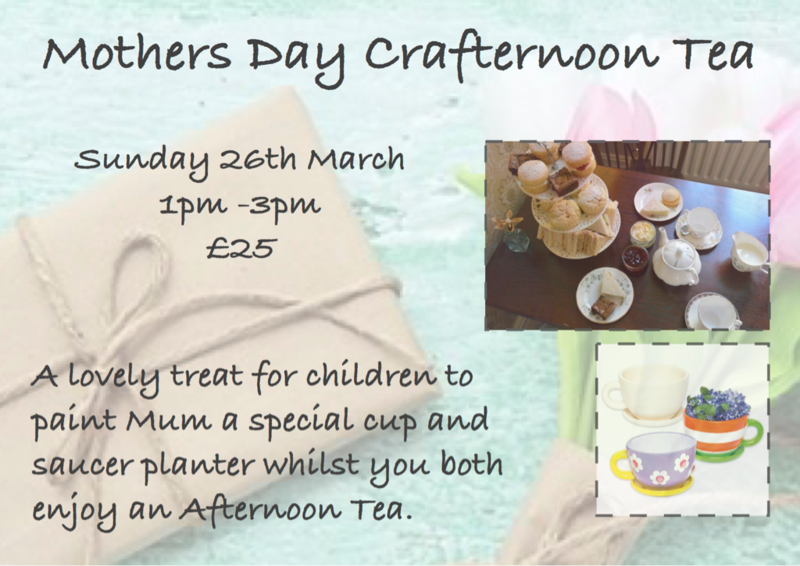 We know how Mums are special, so why not treat yours to a fun Mother's Day workshop here at Coffee Craft? 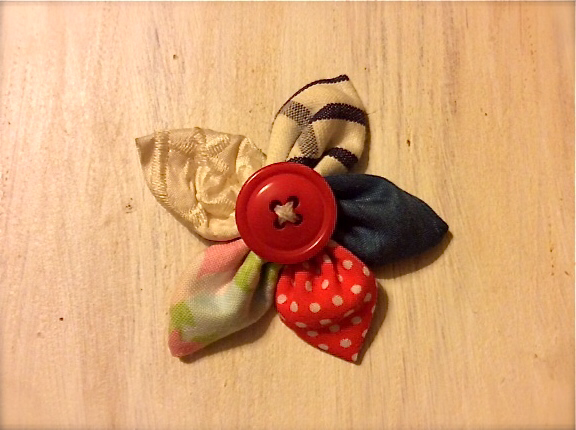 On Sunday 6th March, make a beautiful fabric brooch for each other whilst enjoying a delicious Afternoon Tea. 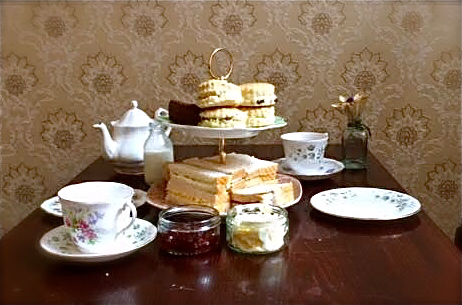 All materials are included, as well as a lovely afternoon tea consisting of finger sandwiches, scone, jam, cream and a pot of tea for two. Price for two people: £42. 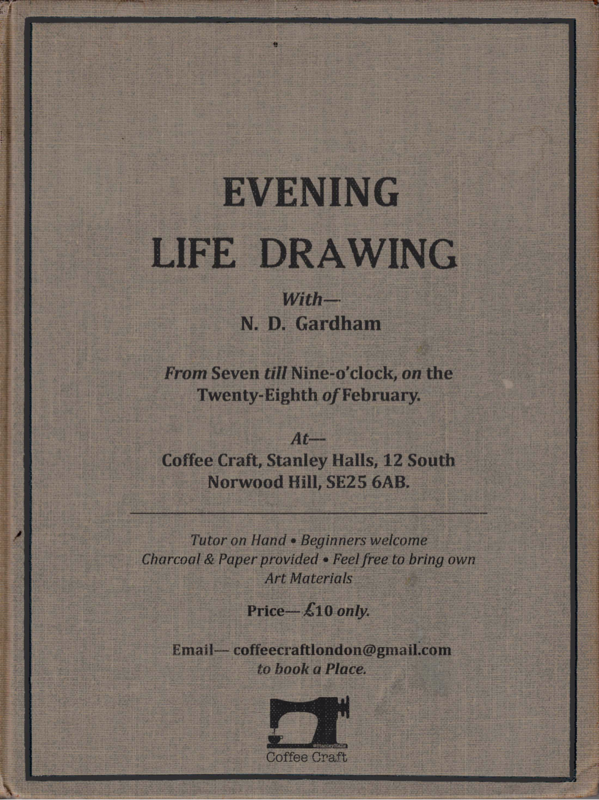 To participate in this session please email coffeecraftlondon@gmail.com and a form will be sent for you to complete, including the time you would like to arrive. Payment needs to be made to confirm your booking. Space is limited so book soon to avoid disappointment! Additional participants may be added if required. 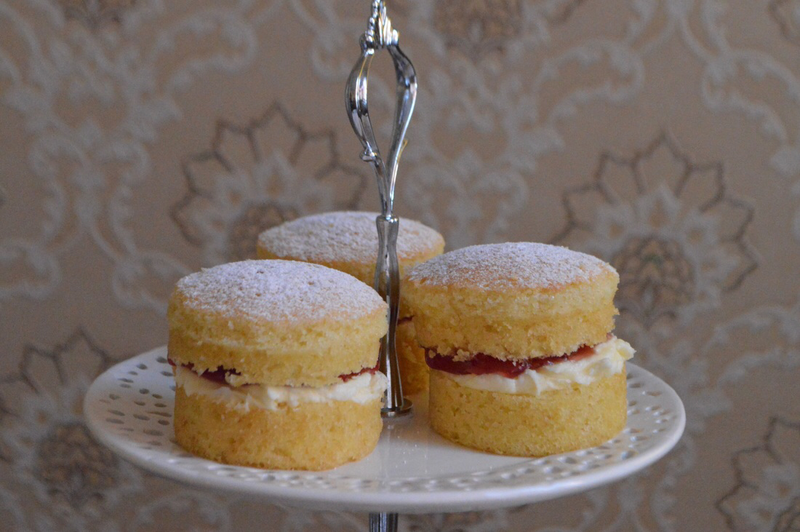 Next Crafternoon Tea on Sunday 7th February! An easy project for a beginner, loose and slouchy, there's no tricky fitting and no fiddly fastenings. 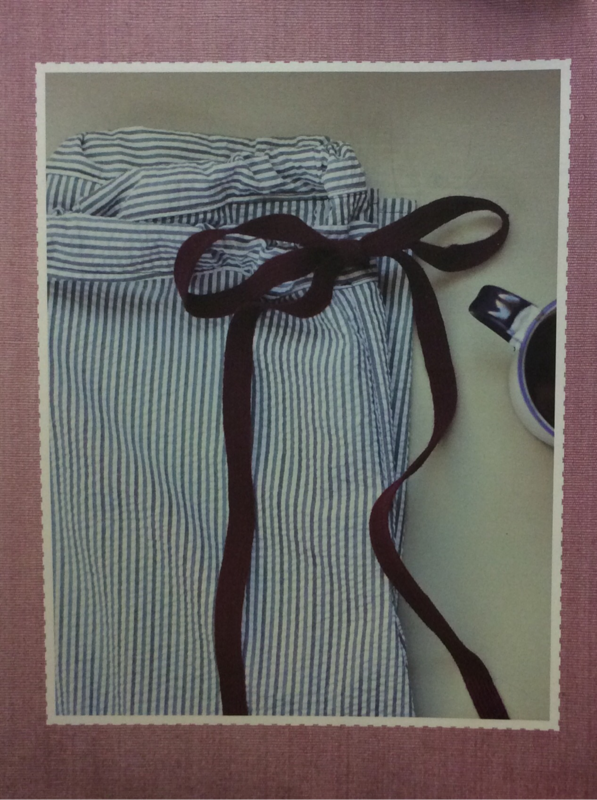 There is nothing better than popping on a pair of PJs at the end of a long day, and these ones tick all the boxes with wide legs, a beautiful satin ribbon drawstring. Perfect to make for yourself, a friend, or both! This is a great introduction to sewing as well as a great project for people with sewing experience. 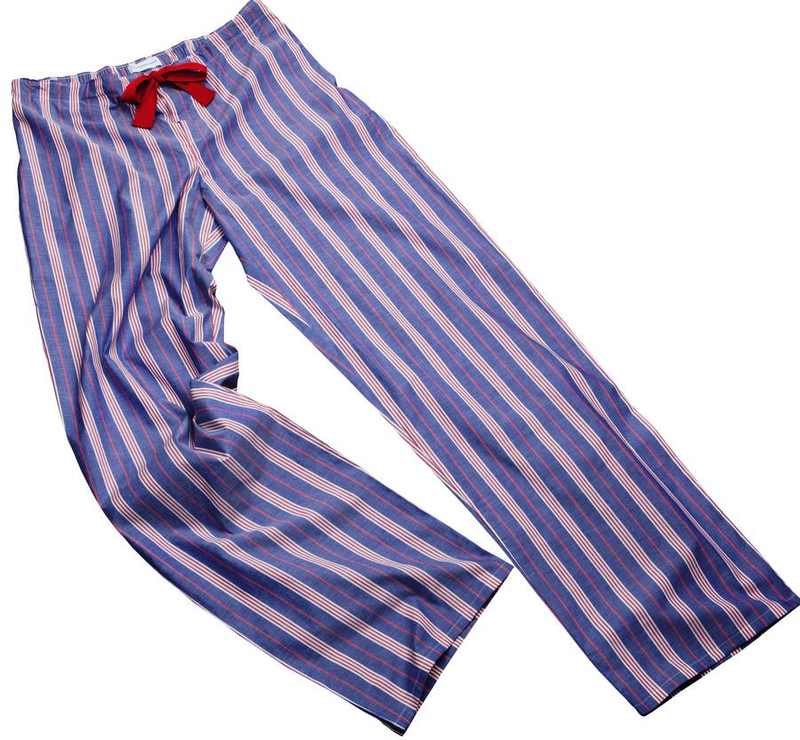 We provide everything you need to make one pair of pyjama bottoms, and you will get a copy of the pattern to take home too. We will provide all materials and equipment, but you’re welcome to bring along anything specific you might like to use in your project. If you have a sewing machine you'd prefer to bring and use, then you are welcome to do so (It's always good to use your own machine). 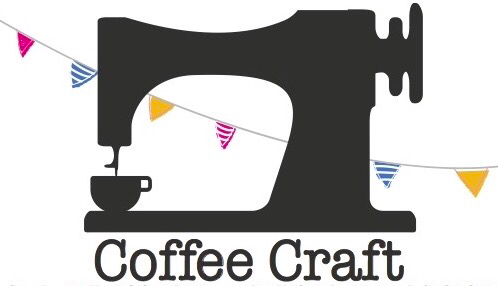 Email Michelle at coffeecraftlondon@gmail.com, a booking form will be sent for you to complete. Your booking is confirmed once payment is received. 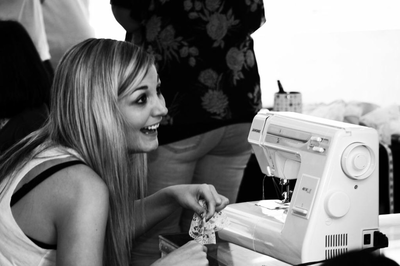 Please note, there has been high interest in sewing classes, please book soon to avoid disappointment.